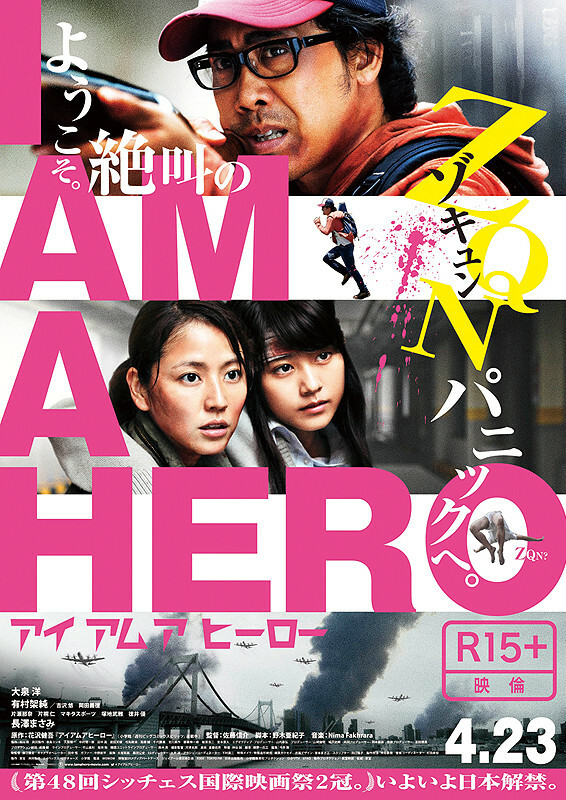 The basic premise of I Am a Hero is the zombie apocalypse, but it takes its time to set up the zombie apocalypse. It starts the story a couple of days before the outbreak and introduces the main character, Hideo Suzuki, and his previous life before all hell breaks loose. He's always been a normal person with no accomplishments in life. All he has was his dream, but he's now 35 working as a manga assistant, which is consider lower than a normal part time job, with no hope of achieving his dream of being a successful manga artist. Then he meets a high school girl, Hiromi Hayakari along the way and tries to survive in this apocalyptic world meeting all sorts of people. As with all live action adaptation, there will be some changes from the source material but at least for the beginning, it looks like it does capture the feeling and some details of the original story. There are some changes of how Hideo meets Hiromi for example, but I didn't even know about it. I never read the manga before watching the movie so I thought everything made sense. Because of the movie, I started to read the manga. Overall, I really enjoyed the movie as it had good acting, good cinematography and the pacing was fine (though I guess some people might consider it a bit slow). The action sequence with Hideo was really cool. As a single movie, the one criticism I had was Hiromi. Something happens to her which essentially renders her useless for the rest of the movie. She's there, and we see a glimpse of what she can do but that was only for one scene. For the rest of the movie, she's just there needing to get rescued. From some of the comments online, it looks like the original manga goes into developing her character and we get to see Hiromi's development later on in the story. Of course in the movie, we don't get the luxury of seeing the whole story so it felt lacking and disappointed to see Kasumi Arimura's acting be used for nothing. In conclusion, I liked the movie overall and was in for a surprise. I actually watched this movie before Train to Busan. 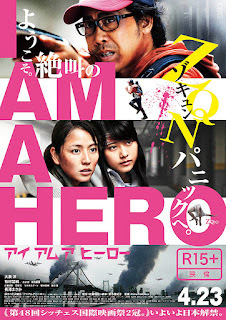 If you enjoy the zombie genre and want to check out some international films, I would recommend I Am a Hero and Train to Busan. Hope you enjoy!